Most embarrassing moment? I was about 11 years old, in dance class. We were all sitting after attendance listening to announcements, so super quiet. And I was playing around with holding a leg up in the air, and I farted. I was mortified but everyone pretended they didn’t hear it, but I know they did. Still makes me feel embarrassed talking about it! Most empowering moment? 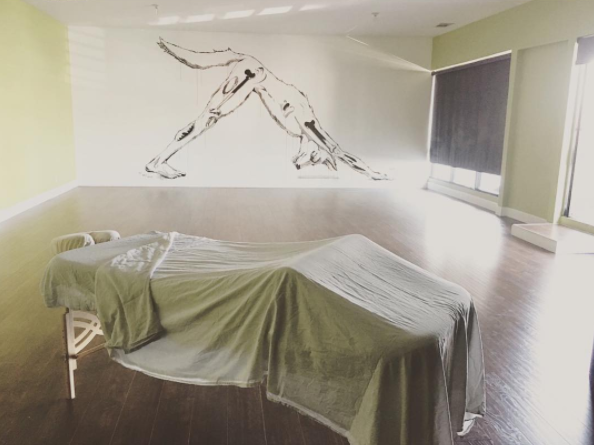 Opening Massage Studio of Philadelphia (my own massage practice) in Philadelphia in 2012 and a second location in 2014. When my boyfriend and I moved to Los Angeles, we drove across the country from Philadelphia. 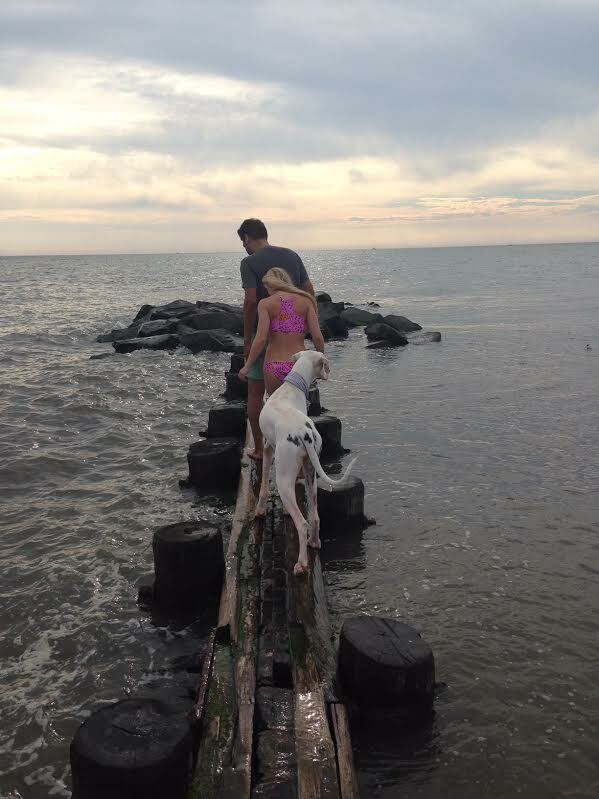 We drove my little 2001 VW Jetta; me, a 6’7″ tall boyfriend, and a Great Dane in the backseat. We stopped at the Grand Canyon for the expected sight seeing and it seriously felt like Mila (the dog) got more photos by strangers then the Grand Canyon. It was such a funny experience to see this massive, beautiful landmark and have people constantly asking us about the dog and taking photos. Definitely a highlight on our cross country journey. I consider yoga a way of life. There is more to it then just the asana part of it, and incorporating yoga and all the things (breath, meditation, etc) into your everyday makes it a lifestyle. I practice Massage Therapy because I like to make people feel better. I am excited to begin teaching to help people familiarize themselves with their physical body and to help them feel better over all. What brought you to become an instructor/massage therapist? I’ve always been interested in Physical/Sports Therapy (the medical side of things), and after doing PT and other modalities for a dance injury I found Massage Therapy and it actually helped my issue. So I began looking into Massage Therapy as a career alongside of dance. 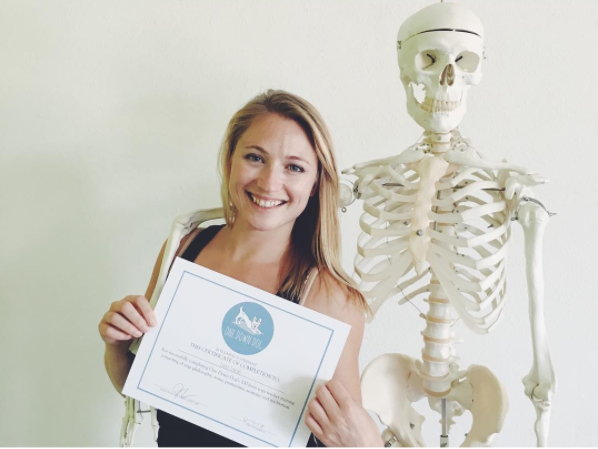 I decided to go for my Yoga Teacher Certification because I saw the therapeutic aspect of yoga and wanted to incorporate that knowledge in with my massage therapy practice and vice versa. What is your favorite song to play in class/massage session? Almost all my play lists have “Coffee” by Sylvan Esso on it — so for now that one! Hands down, my favorite pose is Savasana. I like it because my body is fatigued at that point and I get to just lie there and chill out for at least 5 minutes and not do anything! – Upcoming workshop for teachers – Hands On Savasana – Yoga teacher and massage therapist Laura is going to give you some tips and tricks! June 25th! 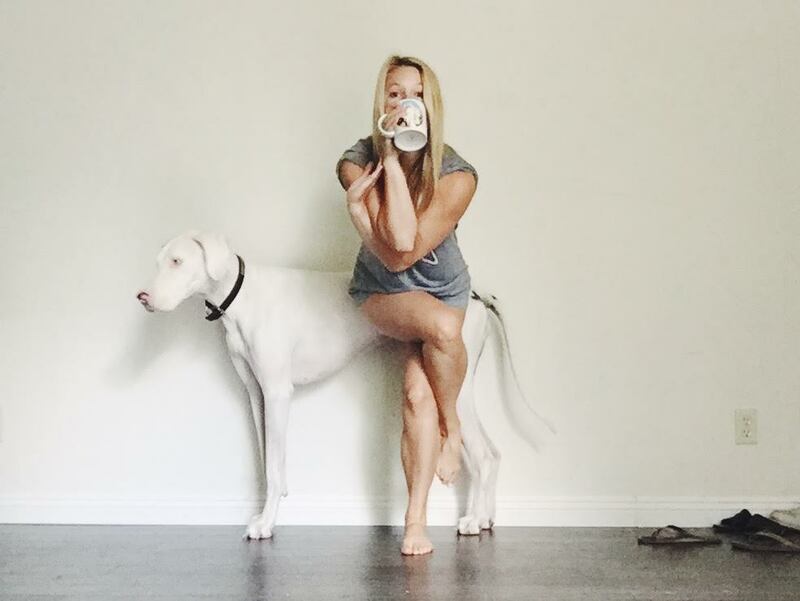 We’re thrilled to welcome Laura Jenkins, our new massage therapist in Silverlake location of One Down Dog! Click here to read Laura’s bio. Why should I incorporate Massage Therapy into my fitness/wellness regimen? You take your car in for a tune-up, or an oil change right? Well, think of your body as your vehicle. 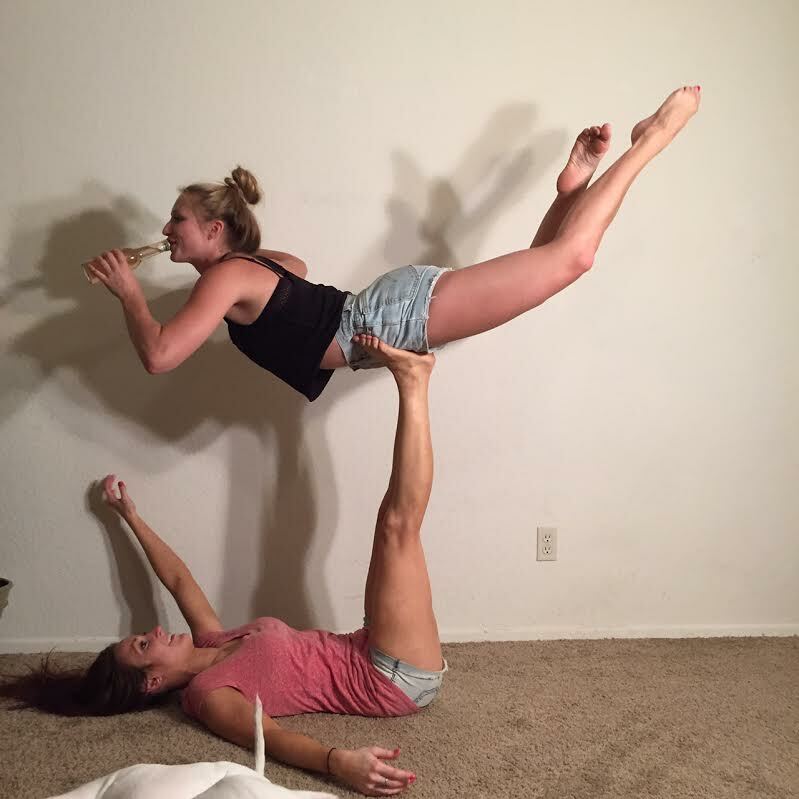 You’re working out and taking Yoga! That’s a great start. Those muscles are working, getting stronger, keeping your body moving and fit. Ever feel sore, stiff, tight or plain old tired? Your muscles need some lovin’ too. Massage Therapy helps push all that lactic acid out of your tissues which helps aid in a faster recovery. Overworked, tight muscles need to release tension before they start overcompensating for other areas or joints of the body. The goal is maintenance and balance for your muscles. If you want to be able to keep moving, massage is important. Aside from all the other amazing health benefits of massage, active folk should make massage a definite part of their routine. What style of Massage do you do? I combine various techniques to cater to your specific needs. This isn’t your typical spa experience. I focus on specific areas of need, or do a general tune-up of the body using techniques such as deep tissue, swedish, traction, range of motion, trigger point release, myofascial to name a few. I consider it Therapeutic Massage. I work with you to find out what your body likes and what it responds to best. Don’t worry — I won’t make you cry unless it’s needed. 😉 Most importantly, always be open and honest with your therapist. Be vocal when you feel the need, so you can communicate on what your body is supposed to be responding to or feeling. And yes, I can also do a very stress-free, relaxing, “put me in the best mood ever” massage as well as prenatal. The best way to schedule is to e-mail me directly: JENK.LAUR@gmail.com. My schedule is flexible, but also depends on classes happening at One Down Dog (Silver Lake). Day times are the best times. But I get it — some of us do have 9-5ers. E-mail me a couple different options of the best days/times that work for you, and we’ll make it happen. Did you know One Down Dog is now offering Massage Therapy?! We’re so excited to announce that we are now offering massage therapy once again! 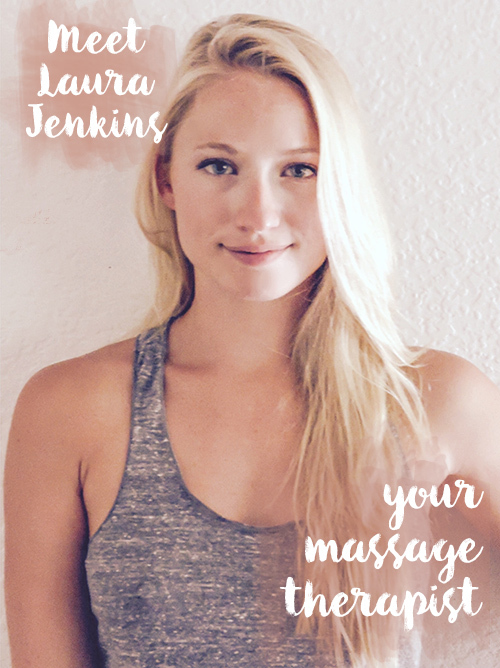 We’d like to introduce, Laura Jenkins, our new massage therapist. Laura moved to Silver Lake, Los Angeles this past January from Philadelphia, PA where she lived for twelve years. She grew up in Poughkeepsie, NY and moved to Philly for college at the University of the Arts. Here she graduated in 2007 with a BFA in Modern Dance Performance. She then began a collaborative dance company PINK HAIR AFFAIR, and co-directed, choreographed and performed for various projects and productions. Laura also performed and toured with Brian Sanders’ JUNK dancing on/in/and around doors, scooters, garbage cans, sand, aerial contraptions, others bodies and more junk! Between all of that she was an NFL Cheerleader for four years, ending her final season as Captain for the Philadelphia Eagles. She even had the honor of being one of the select five cheerleaders to perform for the troops in Kuwait & Iraq. Along side her dancing, choreographing, and creating, she went back to school to become a Massage Therapist. She wanted to use her experience and knowledge of the body to help other movers of the world maintain their movement through massage. After becoming certified she started working at a fitness and rehab facility with Physical Therapists, and Exercise Physiologists. Here she learned and practiced most of her techniques with corrective, injury, sports and rehab massage work. She also worked at various spas and yoga studios. She then opened her own practice, Massage Studio of Philadelphia and was once again employed by the Philadelphia Eagles as a Massage Therapist for the players 2014-2015 Season. Laura is excited to venture into the Yoga world a bit more. Taking a pause from dance to settle into this new city, she reluctantly turned to yoga for the sake of her movement sanity. Turns out, she is really starting to enjoy it! She is so thankful to have found One Down Dog, and is beyond grateful to offer massage therapy to all ODD yogis (and of course others!). Interested in scheduling a massage? Email Laura to get more info.